Want to drive lots of website traffic? Report on the death of a celebrity before it’s true. Granted, no one will respect your content once they realize that your report was false, but it’s great for clicks. The same applies to marketing and tech blogs. If you want clicks, just report that organic reach is dead for Facebook pages. This is just a sampling of those posts that refer specifically to the “death” or “demise” of Facebook organic reach for brands. One of those articles goes back so far as March 4 of 2014. Some of the posts come from some highly respected brands. Some I once respected much more than I do now. Headlines claiming the “death of reach” get people riled up. They scare the uninformed. They encourage the pitchforks for those looking for a reason to break them out (they’re always looking for a reason!). It’s click bait in its purest form. Is organic reach down for pages? Yes, overall it is. Is it dead? Absolutely not. It’s not even close. What each and every one of these articles does is show an insanely poor understanding of what is important. Unfortunately, they have thousands — or sometimes millions — of readers who trust every word they write. In the other cases, they had far fewer but they knew that using these words would attract the big numbers. Either these websites and respected brands are knowingly twisting facts to get clicks or they’re plain ignorant and bad at what they do. Either way, it’s a huge disappointment. It’s not just that these claims are so literally wrong. It’s that they distract you from what actually matters. That’s what makes them so irresponsible. They use your fear and emotion against you in favor of the almighty click. But you aren’t stupid. You don’t take what I or anyone else says as fact. Let’s think this through. What connects the majority of the articles cited above is that the death of organic reach was more a prediction than a statement of fact based on statistics. Most were writing in response to Facebook’s announcement that overly promotional posts would be punished in the news feed. What Facebook was saying: Users don’t like being sold to. If you share content with the primary goal of getting a sale or install, expect it to perform poorly in the news feed. If you really want people to see it, promote it with an ad. This shouldn’t have been shocking. Overly promotional content almost never does well. I can tell you from first hand experience that my own content that performs best on Facebook creates discussion. It’s completely unrelated to any product or promotion. But sometimes I want to reach users with something that promotes a product or opt-in. I know that content is less desirable to users. I know that it won’t get much engagement. I know that it won’t reach many people. I pay to force Facebook to show it. People try to demonize Facebook for this, but it’s a reasonable solution. There is limited space available in the news feed. Facebook wants users to see that which is most engaging. If you want to be sure your fans see something that isn’t engaging, there are ad slots for that. We’ve heard it for close to three years now. Brands have complained about a drop in reach. It started with ways to game the system. Share text updates but not links. Then share photos, but still not links. Links then became better and text was bad. But now you should share videos because they’re awesome. Brands are always looking for a way to reach the most people. Understand that this is a source of the problem. It’s brands worrying too much about a fuzzy metric and not enough about actions. Don’t you see how the two are related? Marketers assumed that if reach goes up that clicks will follow. They assumed that if clicks go up that sales will follow. And they assumed that if reach drops, the entire house collapses. Because marketers chase reach, they attempted to game the system at all costs. And because they attempted to game the system at all costs, they created crappy content that appeared — on the surface — to perform well. Because they created this crappy content that reached a lot of users, it became the source of a bad user experience. The result: Facebook made adjustments to limit that crappy content. They did it over and over. Every time you tried to game the system, the restrictions got tighter. Conventional wisdom says that the more people you reach, the more who will click. And the more who click, the more sales follow. But what conventional wisdom ignores is quality. If you need to game and deceive and create crappy content to reach more people, you can’t expect quality engagement. Let’s assume you created pretty good content, but your reach has dropped. Conventional wisdom says that this is bad. But what if you are still reaching the same people who engaged before? What if you no longer reach those who previously ignored you? That is Facebook’s intention. And that’s precisely what they want for a good user experience. Hey, maybe organic reach will be dead one day. But you know what? It’s more than a tad premature to report on it now. The average for my page right now is 16.9%. The cynic will complain that these numbers aren’t 100%. Or that they’re lower than what they used to be. But “dead” would mean 0.0%. 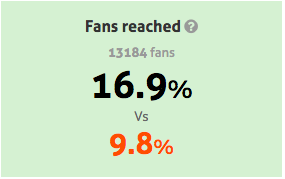 Instead, we’re talking about 5,000 of 50,000 fans per post for the average page of that size. That’s a healthy heartbeat. The worst claim of all is that because reach is dropping, those likes of yours are now completely worthless. Just stop. Again, understand what Facebook is doing. They are surfacing content to people most likely to care about it. So while the number of people you reach may have dropped, the quality of those people has probably increased. So, you’re saying that the most important people — the people who want to engage in your content most — are “useless”? That’s pretty ridiculous. If you’re still reaching fans, that matters. That organic content has value. And those likes have value. But what many who make this claim ignore is that likes have value beyond organic distribution, too. 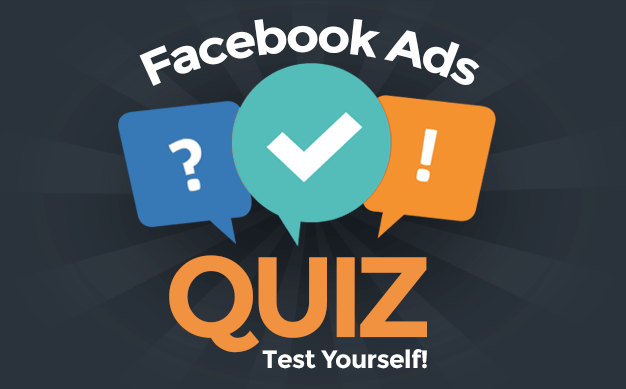 By liking your page, users help bucket themselves for you so that you can serve ads to a very relevant group. Oh, I know. You hate ads. That’s why you said likes were worthless. You’re never going to give Facebook a penny of your money. These people will never get it. But the truth is that targeting a fan is far more likely to result in a conversion than targeting people by interest. I’ve seen repeatedly that fans convert. That is far from useless! Whenever I see an article that focuses only on reach, it tells me the author doesn’t see the full picture. And when you’re presenting only part of a picture, it’s easy to distort reality. You never should have made reach your primary objective. It is not the measure of success or failure of a post. Some will point to reach being a good indicator. They say that if you get great engagement that great reach will follow. This is partially true. But understand that even then Facebook will be careful about who sees your post. There will simply be less waste — less empty reach. Sure, you should care about comments, likes and shares. Shares are likely the most important, but that’s still only scratching the surface. I hope you’re measuring how much traffic is being driven to your website as a result of your post. And if you’re really creative, you may even attempt to measure what those people did on your site when they got there. If you have any audience at all, you have a responsibility. Do not write headlines or make claims for the sole purpose of driving traffic. If you’re going to make such claims, be sure that you have stats to back them up. If you share a post to your Facebook page reporting the death of reach, you might be concerned about the accuracy of such a report when you get comments, likes and shares. You certainly reached someone! Within 12 hours, that text update reached 28,000 people organically. More importantly, it resulted in more than 500 likes, 85 comments and 30 shares. Dead? Nah. Even if reach is down to 5 or 10%, that is not the “death” of reach. Stop calling it that. I’m sure your tweets on Twitter would kill to enjoy such a death. What do you think? 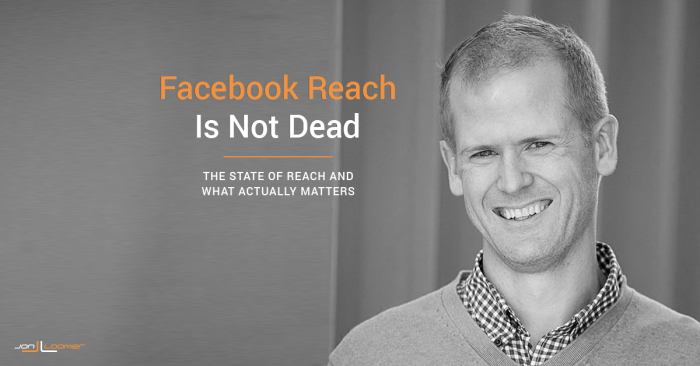 Is Facebook reach dead for pages? Am I just nuts?